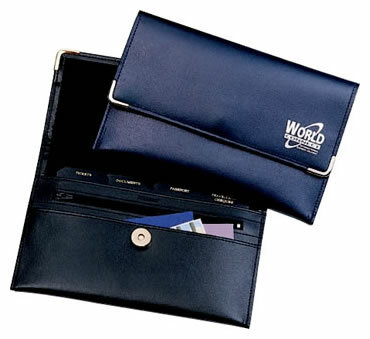 Genuine British made leather travel wallet with pockets and secure zip section. A quality product to display your promotional message for an extended period. Colours: Black, Navy, Green or Burgundy.